Dr. Dilip Joseph of Colorado Springs will share his experiences as a prisoner of the Taliban and the dramatic rescue operation by the US Navy Seals that ended his captivity in December of 2012 this Friday evening (April 25 at 6:30 pm) at a community Shabbat dinner at Chabad of NW Metro Denver. Dr. Joseph will also share how a conversation with one of his captors, a 19-year old young man changed his life as it made him realize that the ‘box’ that he have made for the young man doesn’t even begin to describe who he really is… and, who he longs to be! 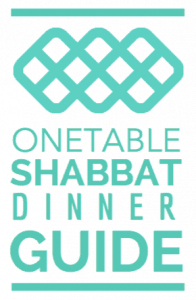 The four course delicious Shabbat dinner will also include Afghan cuisine. To make a reservation please click this link or call 720-984-5805. Parents with kids are welcome and a special children’s program will run during the presentation. Dr. Dilip Joseph, MPH, M.D., serves as the medical Director for Morning Star Development (MSDEV) and oversees the public health, preventive health, and clinical projects that MSDEV operates through its rural medical clinics in Afghanistan. In particular he is responsible for training the medical staff, evaluating and improving our medical services, and expanding our medical efforts through networking and fundraising so that we can cater to many more Afghans who do not have access to health care. Dr. Joseph completed his undergraduate degree in Biochemistry from Azusa Pacific University, his graduate degree in International Public Health from Loma Linda University, and his medical degree from England. His medical work spans both the developing and developed countries with internships and work experiences in both public health and clinical medicine. His interest lies in incorporating his medical experiences for the betterment of rural communities in the developing world. Dr. Joseph has a passion to develop communities that would invest into a ‘holistic’ perspective on health – physical wholeness as a result of a healthy interaction between an individual’s body, soul, and spirit! It is his desire to see a shift in the conventional paradigm of physical wellness into one that is a natural result of a healthy physical, social, mental, and spiritual interaction.